Kate Moss is a Diva and since she has come out with her own range of Beauty products in collaboration with Rimmel London I look out for what she is launching next. 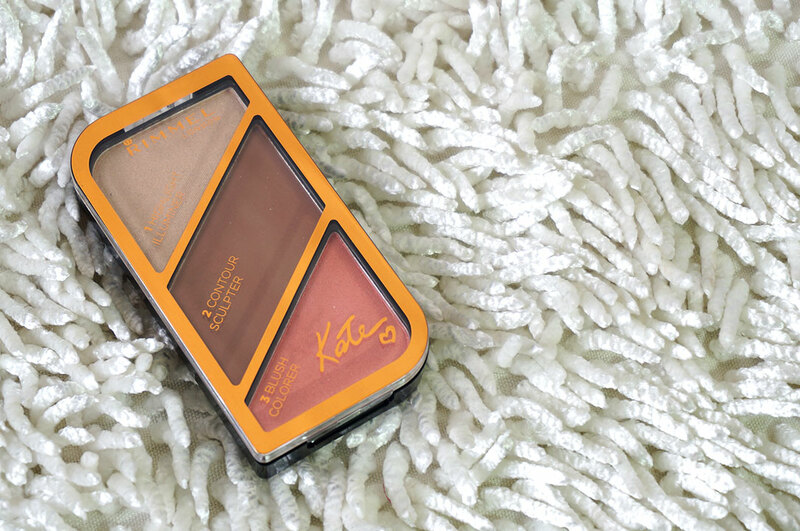 I recently got my hands on the Kate Sculpting Palettes and the excitement was OTT! 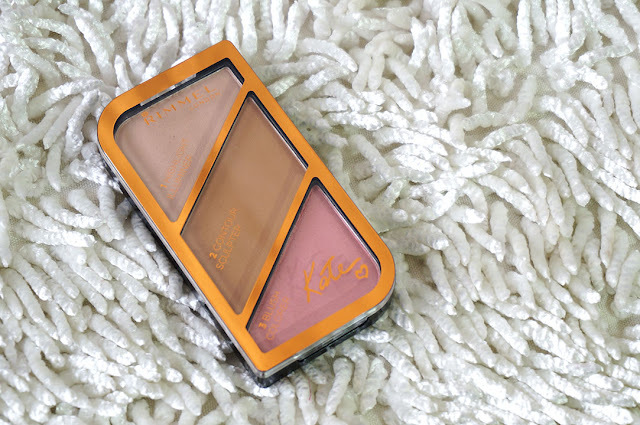 The Kate Sculpting palettes from *Rimmel are a very smart product. 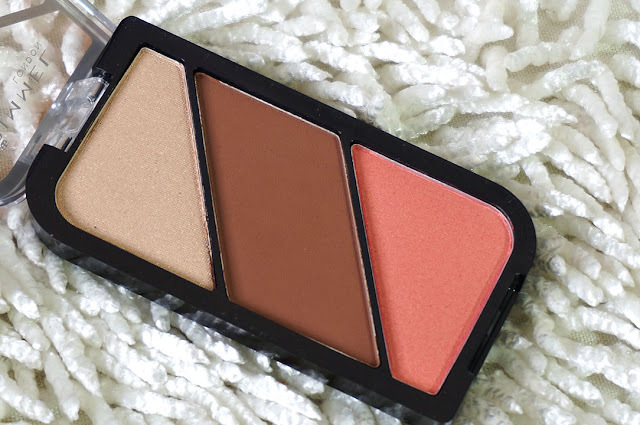 The market is buzzing with different kinds of contour palettes and most of them are a disappointment. So when I got this I was hoping that it delivers expectations. It comes in a clean, simple plastic packaging with a clever combo of three powder shades – a shimmery highlighter, contour/bronzer powder and blush to add some fresh color. The sculpting palettes are in three variant, each to give a natural looking contour and highlight for different skin tones : #001 Golden Sands – for fair skin, #002 Coral Glow – for fair to medium skin, #003 Golden Bronze – for medium to dark skin. 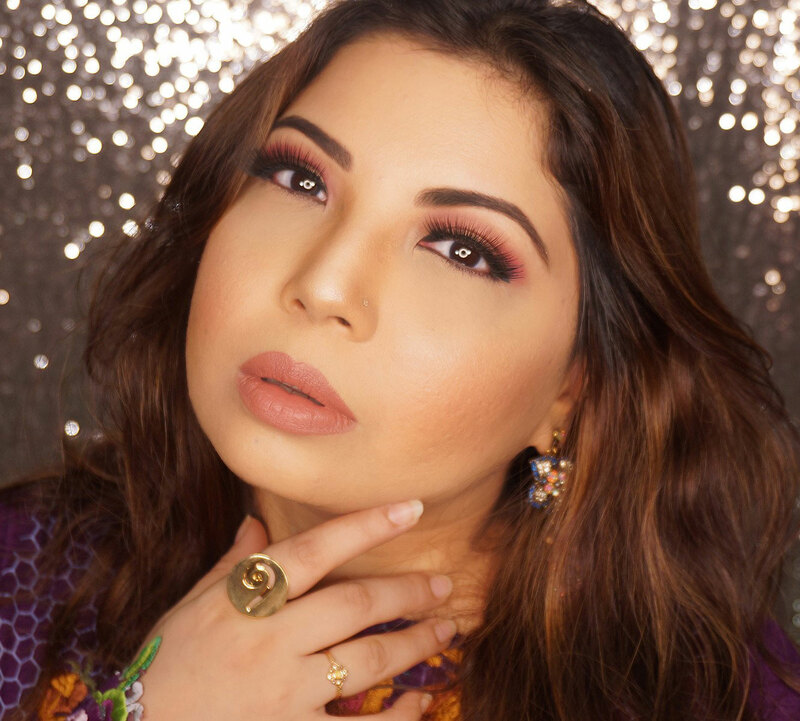 You can use the any one of the palette as per your preference too, create something natural or go for the darker palette for some glamorous drama. I like the formula. The highlighter and blush are somewhat better in pigmentation. Contour powder is not super pigmented but the sheer yet buttery formulas give a very natural looking finish for a great day look. 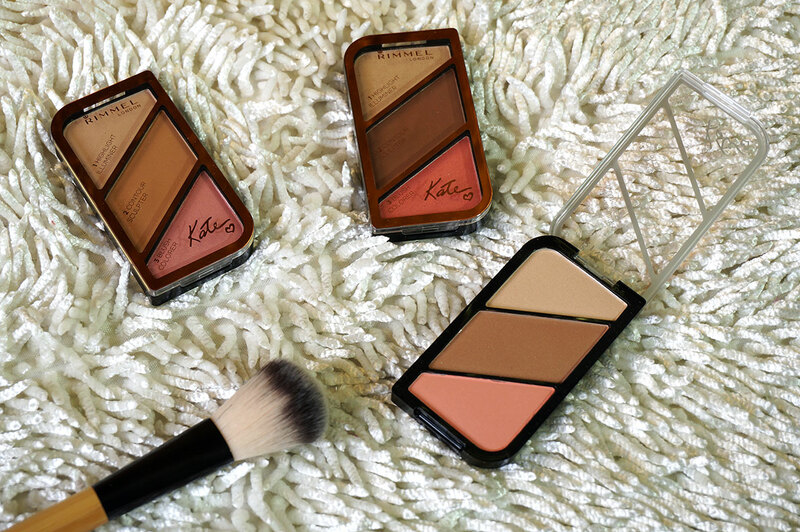 There is no major difference in formula in all three palettes which is good. 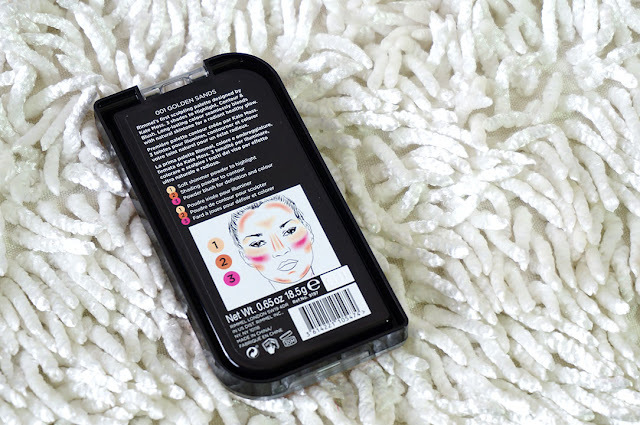 Every palette has a face map with directions as well which is great for beginners. 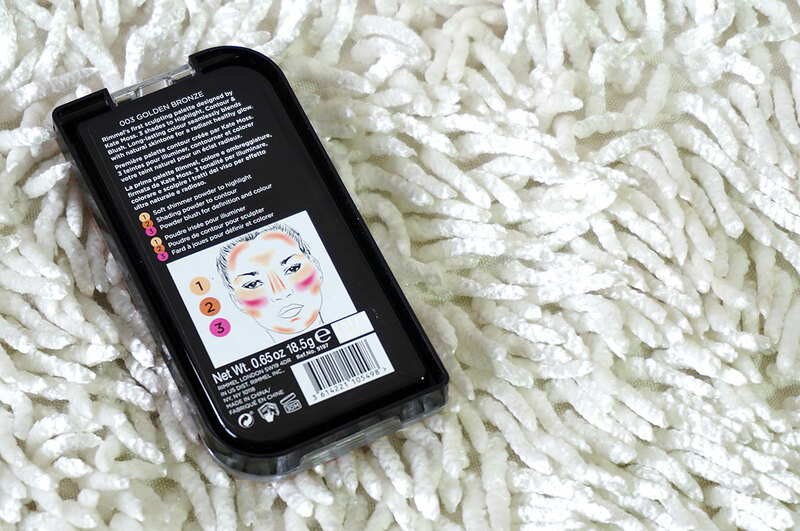 Even the cover identifies which one is the highlighter, contour and blush, It is literally as easy as 1,2, 3. The lightest of the three, it has pale shades. 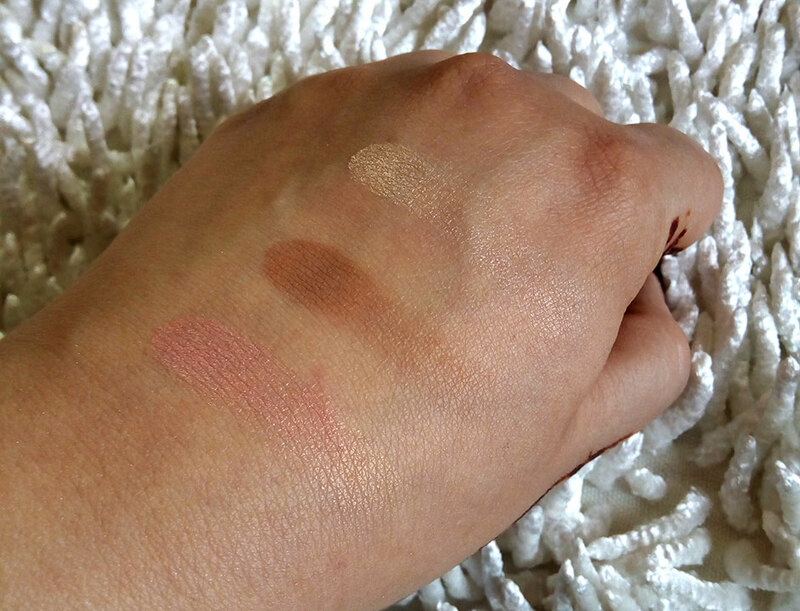 The highlight is a shimmery champagne, the blush is a frosty pink and the contour is also very light and can actually be used as a bronzer rather than a matte contouring powder due to it's shimmery finish. This a great palette for achieving a natural, glowy day time look. 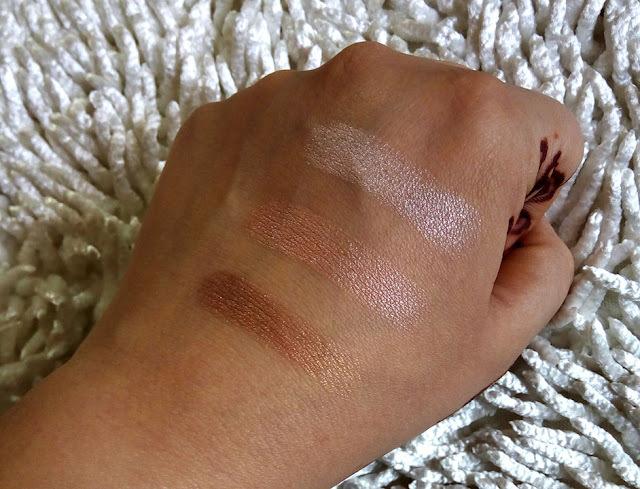 The highlighter is similar to the champagne one in the 001 palette but the contour and blush have more color and are less shimmery, almost matte. 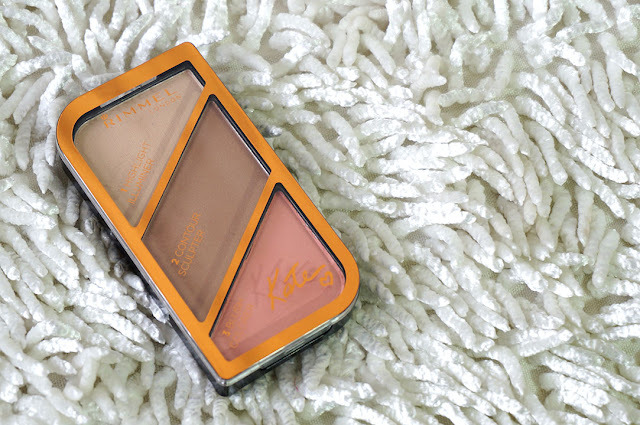 I actually prefer the contour powder in this palette for evening looks because it is just the right amount of dark and warm. 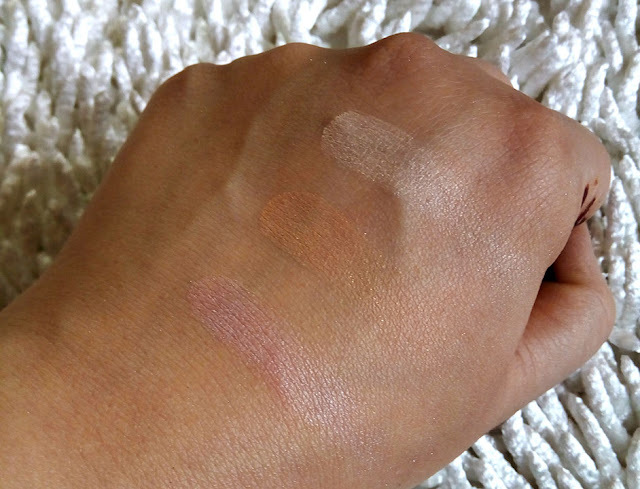 The blush is a pretty coral shade but the specks of shimmer are not flattering for me. 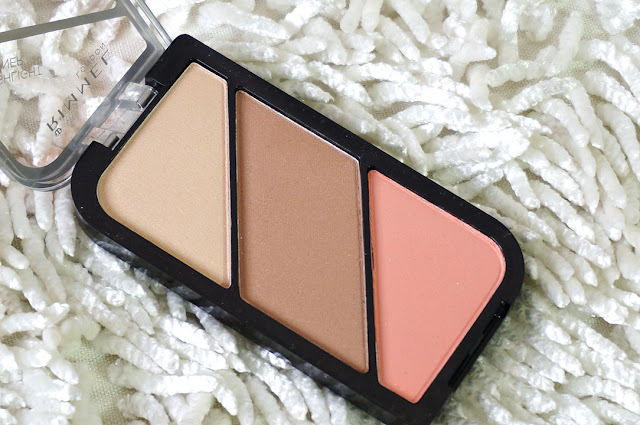 The highlighter is also not as pigmented as the other palettes though can be worn for a very subtle glow and has a golden shimmer. 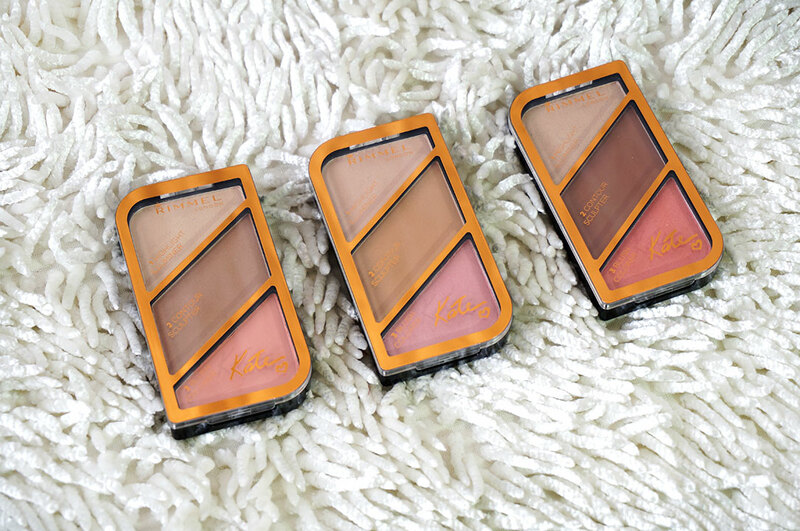 Overall the palettes are a good product considering the value of being $6.99 each only. 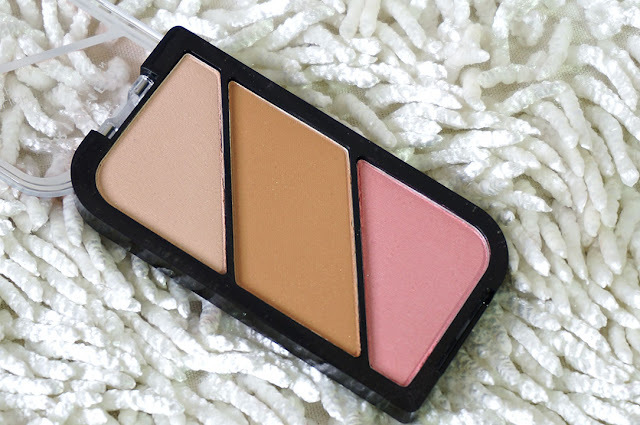 Its an easy to use palette which you can carry in your bag and the results are not bad either for a radiant looking, natural look. 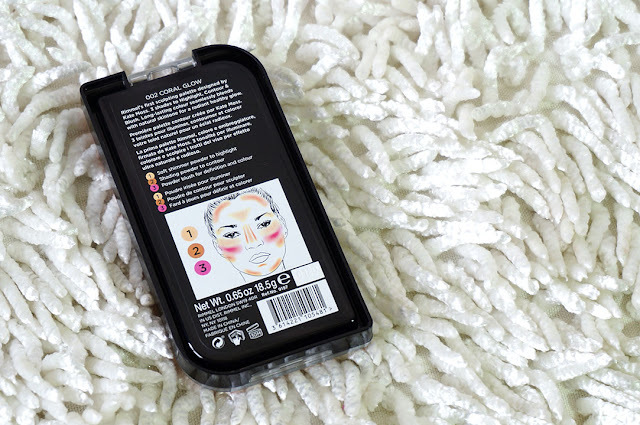 You can buy this ONLINE from different Rimmel retailers.